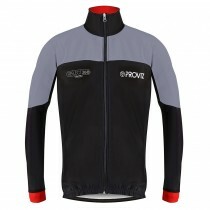 The Proviz PixElite jacket is a high performance winter cycling jacket that gives you warmth, breathability and features our new highly reflective PixElite fabric in the arms, sides, shoulders and lower back. The performance fit gives you everything required on your rides without being a super tight race fit, but if you like a little bit more room it is best to move up by one size. 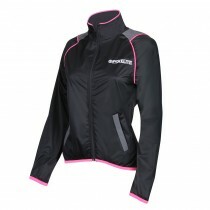 The bulk of the jacket is made from a soft-stretch mix of polyester, elastane and brushed thermal microfibre. 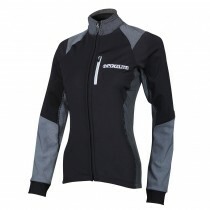 Together they block the wind, keep you warm and regulate heat build-up on a hard winter ride. Back pockets give ample room for all the extras you like to carry on your ride and the middle lock-zip pocket will keep all of your valuables secure. A front lock-zip pocket is also there to use as you wish. About the fabric: The PixElite fabric is built in to the areas of the jacket that are most prominently seen when cycling at night or early morning and the reflective material helps drivers to more easily identify your position on the road. The fabric is designed specifically to be used in high-end garments where performance and breathability along with comfort, stretch and fit are all high on the agenda. 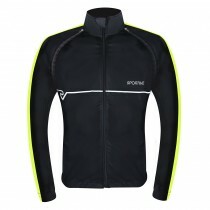 It is manufactured using 3 layers that combine a perfect windproof and breathable outer layer with incredible reflective capability. Note: We advise going up a size or two due to performance fitting/sizing. 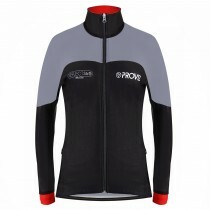 Road.cc: "A very good performance jacket that offers startling reflectivity." New for the 2018/2019 season, the REFLECT360 performance cycling jacket is designed to go over the top of your standard regular gear when you are out on the roads when it is dark or when the light quality is poor and vehicles have their lights on and you wish to be more easily seen. New for the 2018/2019 season, the REFLECT360 performance cycling gilet is designed to go over the top of your standard cycling gear when you are out on the roads when it is dark or when the light quality is poor and vehicles have their lights on and you wish to be more easily seen. We have positioned our retro-reflective material across the whole of the front of the gilet, across the shoulders and the lower back in order to give you a huge amount of surface for headlights to reflect off you. We have built in highly breathable panelling across the main volume of the back and down the side to allow heat to escape. 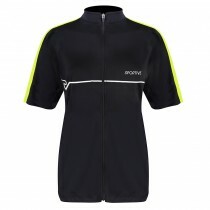 The design of the REFLECT360 Performance cycling gilet is for those customers who require a lightweight outer layer to enhance their visibility in addition to normal wet weather gear. We have focused on keeping the design simple and minimalist so that it can be put on as soon as the light fades and you wish to defy the darkness! 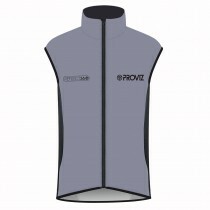 Road.cc: "The Proviz Sportive Convertible cycling jacket/gilet is a clever convertible softshell garment"
The Proviz Sportive Convertible Jacket is a high-spec softshell jacket that easily converts in to a gilet when the riding conditions demand a change. Made from triple layered, highly breathable (15,000gm/24hr) and waterproof (7,000mm) four-way stretch fabrics that give exceptional comfort and flexibility that will keep you warm and dry. Should the weather change and you need to cool off then simply remove the arms at the shoulders using the lock-zips to leave you with a great looking fitted gilet. This garment can be used year round. Throw on an extra layer underneath for the winter and enjoy the garment's flexibility during the remainder of the year. 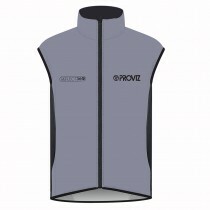 The Proviz PixElite gilet is a high performance garment for those chillier days when you need an extra layer. 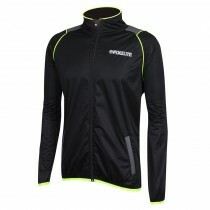 It will give you warmth and protection against the wind and showers along with having our new PixElite reflective fabric built in to the shoulders, sides and lower back for incredible reflectivity at night. The performance fit ensures great aerodynamic performance, but if you like a little bit more room it is best to move up by one size. 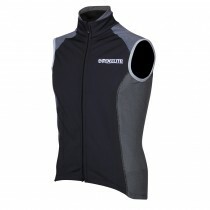 The bulk of the gilet is made made from a soft-stretch mix of polyester, elastane and brushed thermal microfibre. 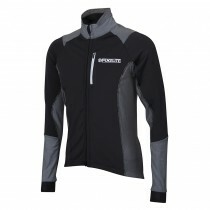 Together they block the wind, keep you warm and regulate heat build-up on a hard winter ride. Back pockets give ample room for all the extras you like to carry on your ride and the middle lock-zip pocket will keep all of your valuables secure. About the fabric: The PixElite fabric is built in to the areas of the gilet that are most prominently seen when cycling at night or early morning and the reflective material helps drivers to more easily identify your position on the road. The fabric is designed specifically to be used in high-end garments where performance and breathability along with comfort, stretch and fit are all high on the agenda. It is manufactured using 3 layers that combine a perfect windproof, warm and breathable outer layer with incredible reflective capability. 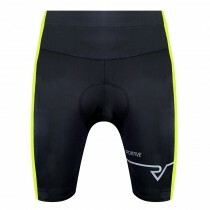 The Proviz PixElite Bib Tights are a fantastic garment to be used during your winter rides. You’ll be protected from the cold and our PixElite material incorporated in to the lower leg and hip areas add performance reflectivity to your apparel. The material we use is supportive, comfortable (with a non-itch finish) and breathable to help regulate heat and moisture build up. A premium antibacterial, Coolmax chamois from Bi-Elastico wicks sweat away from your body to keep you cool, dry and comfortable. 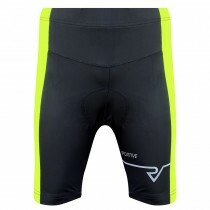 These tights are perfect for winter cycling when it gets cold and you need good protection against the elements. About the fabric: The PixElite fabric is designed specifically to be used in high-end garments where performance and breathability along with comfort, stretch and fit are all high on the agenda. 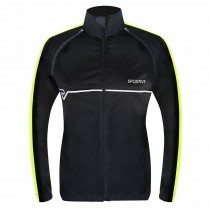 It is manufactured using 3 layers that combine a perfect windproof and breathable outer layer with incredible reflective capability. 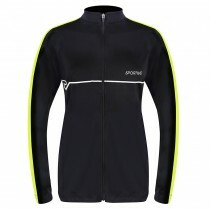 The Sportive Long-Sleeve Jersey is made from a 140gsm soft-touch polyester mesh fibre that allows it to be soft, breathable and adaptable to a great range of conditions. Use it underneath an outer layer during winter for extra warmth or use it as a single layer during the summer and make use of its UPF 40+. The material helps to wick sweat away from your skin and it also has an anti-bacterial finish to help you feel fresher and more comfortable when out on your bike. The fit is designed to be close to your skin but without being super tight and constrictive. 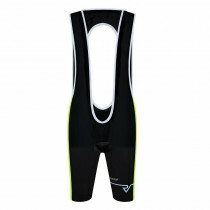 The full length lock zipper gives great flexibility and can be easily removed quickly out on your ride if needed. 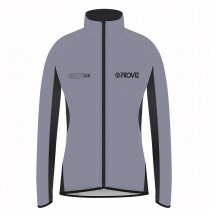 The Proviz running jacket incorporates lightweight, highly breathable and wind resistant material along with our unique super reflective PixElite fabric that helps to ensure your visibility when out on the roads. This fabric is strategically positioned so that reflective detail reflects back light so a driver will be able to identify your position much sooner. The material has a soft touch feel so that you will be super comfortable in it whether exercising in the open air or on your way back from the gym via the shops. 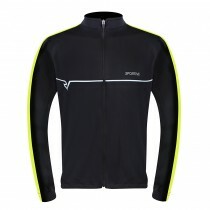 As featured in '220 Triathlon's 11 of the Best Running Jackets'. 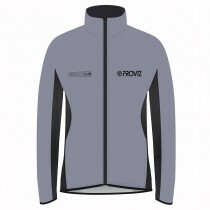 The Proviz Pixelite Performance Running Jacket incorporates lightweight, highly breathable and wind resistant material along with our unique super reflective PixElite fabric that helps to ensure your visibility when out on the roads. This fabric is strategically positioned so that reflective detail reflects back light so a driver will be able to identify your position much sooner. 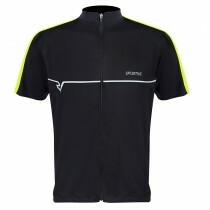 The Sportive Short-Sleeve Jersey is manufactured from a 140gsm soft-touch polyester mesh material that allows it to be soft, breathable and adaptable to a great range of conditions. Constructed from lightweight polyester and with UPF 40+ you can head out in all conditions and you’ll keep cool and dry. The material helps to wick sweat away from your skin and it also has an anti-bacterial finish to help you feel fresher and more comfortable when out on your bike. The fit is designed to be close to your skin but without being super tight and constrictive. The full-length lock zipper gives great flexibility and can be easily removed quickly or allow extra air on to your body on those hot days!